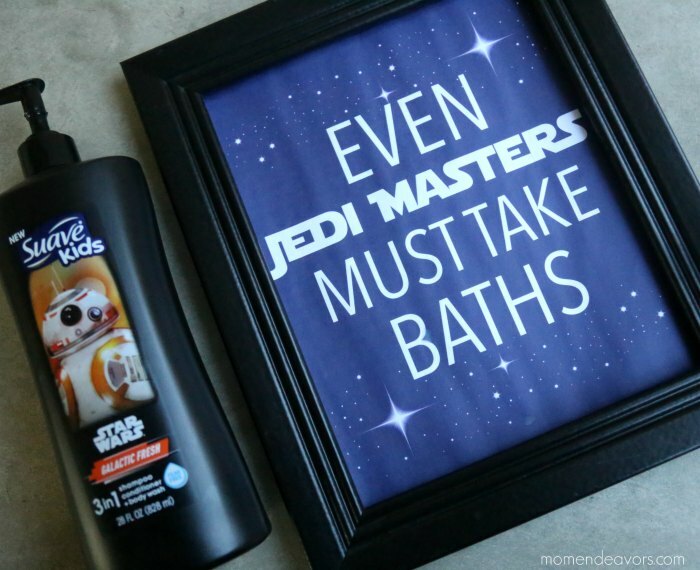 So happy to share this Star Wars bath time blog post I created as a Suave Kids partner. The Disney, Frozen and Star Wars trademarks are used by Unilever pursuant to a license agreement with The Walt Disney Company. All rights reserved. Both Disney Star Wars™ BB-8 3-in- 1 Shampoo + Conditioner + Body Wash in Galactic Fresh AND Disney Star Wars™ Kylo Ren 3-in- 1 Shampoo + Conditioner + Body Wash in Hyperspace Apple come in handy 28 oz. pump bottles, are dermatologist and ophthalmologist tested to help make bath time tear-free, and clean hair while leaving skin soft and smooth (all in one simple step) – perfect for making bath time a galactic adventure! 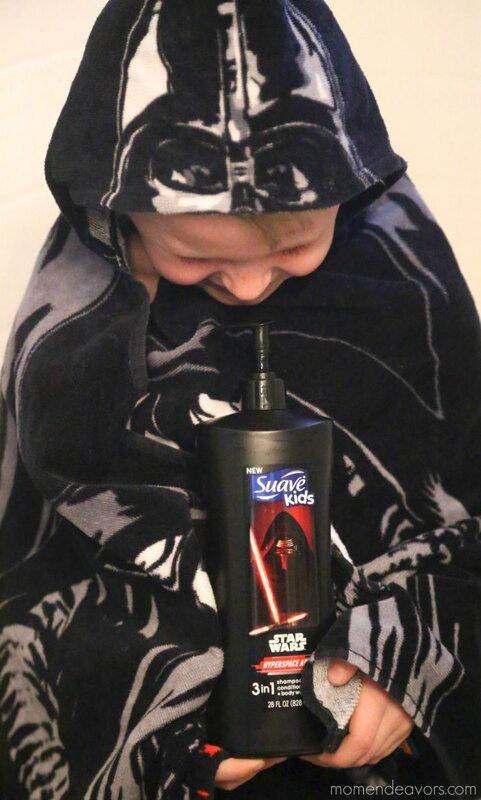 Obviously, this little Darth Vader towel-wearer approved. 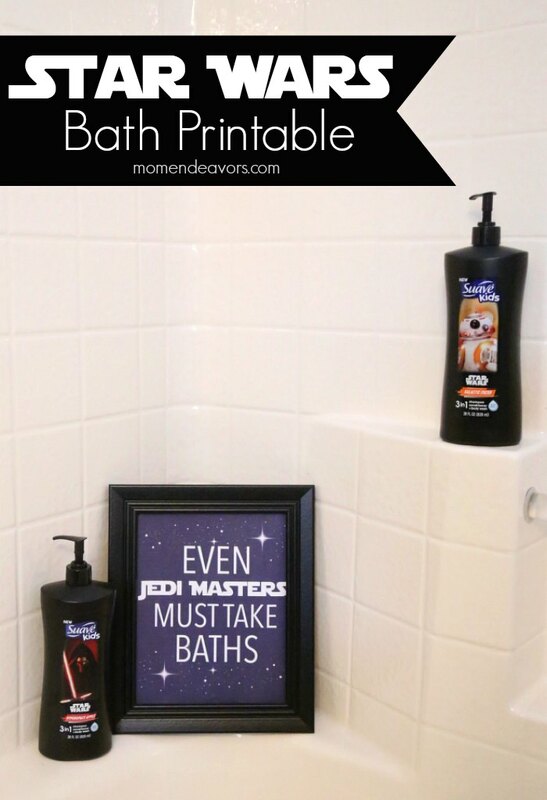 And, if your little Jedi need any reminders about bath time, we made a simple little printable that you can download & print for their bathroom. 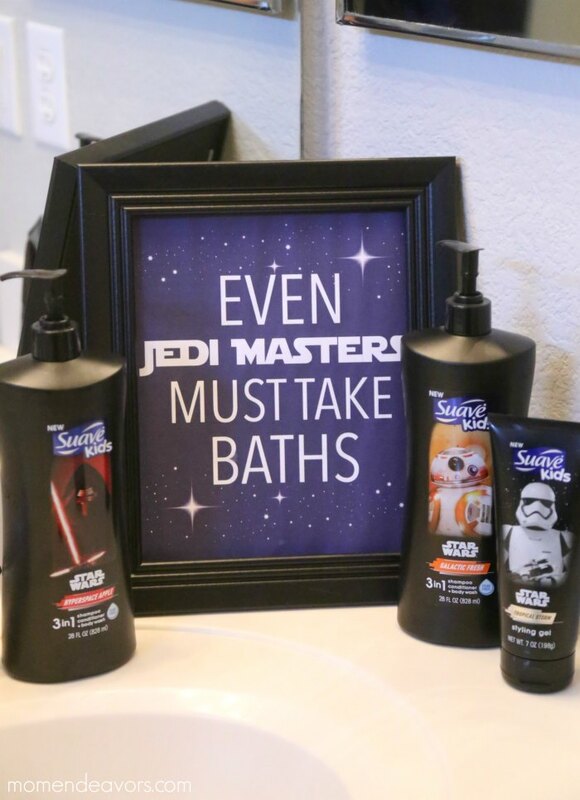 After all, even Jedi Masters DO need take baths every now and again! Just click the link below to get your free printable (we recommend printing on card stock, using a photo setting). So fun! You can look for the Suave Kids® Disney collections at Mass, Grocery, Drug and Value retailers nationwide. For more from Suave®, you can follow along with them at SuaveBeauty on Facebook, Twitter, Pinterest, and Instagram. 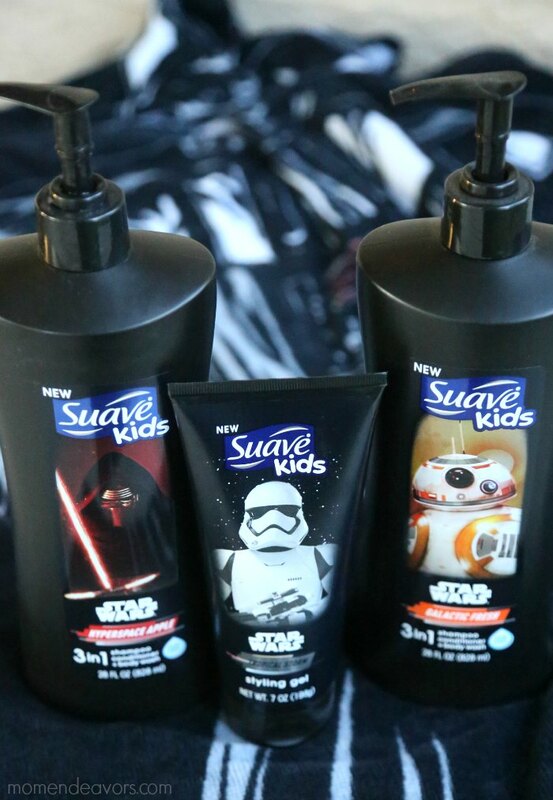 Would YOUR kids love the Suave Kids® Disney Star Wars™ collection?